The 24 Hour Fitness chain of gyms has introduced fingerprint-based check-in system to replace its membership cards for gym members. But despite the program being voluntary, the change has drawn a debate from those who support the switch and the technology’s detractors, according to a Denver Post article. While utilizing the fingerprint system, which also requires users punch in a 10-digit code for authentication, is voluntary, the 24 Hour Fitness gyms are completely doing away with membership cards. The new system requires members who opt out of the fingerprint system to instead bring a picture ID to be looked up manually. 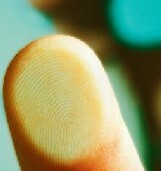 While the detractors of the new program say that the biometric technology is inherently fallible and prone to leaking member’s personal biometric data, officials from 24 Hour fitness have pointed out the safeguards to prevent leaking of information including the system not storing fingerprint images but an encrypted binary representation of specific points on an individual’s fingerprint. Despite the push back surrounding the new program, 24 Hour Fitness is reporting a 97% acceptance of the technology from its members who they believe see it as a convenient option that allows them to forget their identification at home.